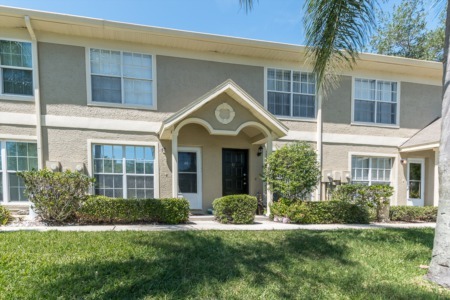 Located right in central Palm Harbor you will find the affordable and unassuming condominiums of Mission Grove. With 2/2, 2/1, and 1/1 options available at their respective price points, you're bound to find a good match for you and your spouse or family. There is a community pool for all to enjoy, and the individual condo units share views of the neighboring golf course, the neighborhood pond, or maybe both if you're lucky! Directly outside the sliding glass door in the back of each condo is a cute little screened in patio - a great spot to bask in the Florida weather with a good book or refreshing drink without getting sunburned. 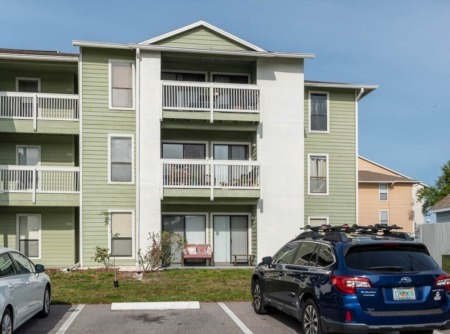 With such affordable listing prices on these condos, it's hard to imagine how conveniently located they are to the main parts of Palm Harbor and surrounding cities. At Mission Groves, you're never far from shopping, schools, great restaurants, the beach, Lake Tarpon, and of course the cities of Tampa and St. Petersburg. Call us today if you want to inquire more about these condos or other communities in Palm Harbor. Our agents are on call and ready to help you! Selling your Condo in Mission Grove? Are you in the need to sell your Condo fast and make the best possible sale? Call Lipply Real Estate Agency today to speak directly with a skillful agent to discuss the first step you can take to start the selling process. Our agents have developed a strategic marketing plan to ensure a quality sale for all of our clients. Call today or enter your information in the form below. We look forward to potentially working with you.